When GuyStyleGuide first started, way back in 2008, there were very few online retailers who could provide custom fit clothing for a reasonable price. As we enter 2012 the landscape has most-definitely changed; internet tailoring has taken off in a big way over the past 24 months, so I thought it was about time we took an in-depth look at how to successfully purchase your custom suits, shirts and pants through these e-tailors. Before you start having wild daydreams about opulent tailoring and lavish materials, you need to take a small reality check. 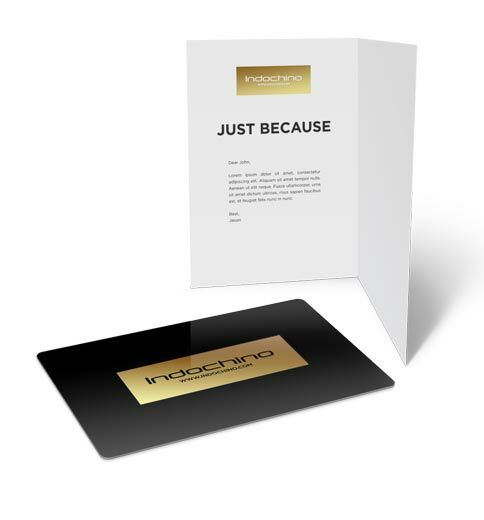 This is bespoke clothing on a budget; you’re never going to match the service or fabrics of a Savile Row professional using online merchants. That said, you can certainly expect something much better than your typical ‘off the peg’ fare if you make the effort to do things right. 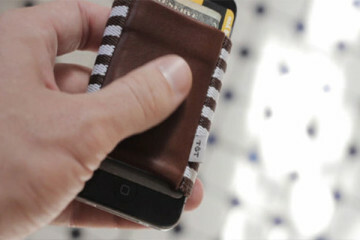 While many portals initially came with considerable quality issues, the situation has improved immeasurably over time; top stores have started introducing superior Italian fabrics, free alterations, digital cutting techniques for precision tailoring and stronger customer support networks. It definitely pays dividends to read up on each company before you order to fully grasp their commitment to couture creation and get a stronger idea of what to expect from the service. Looking at the screen, you’ll get the sense each fabric is nothing short of perfection; it should, therefore, come as no shock to learn that one of the greatest disappointments most men experience with e-tailors is subpar or uneven fabric quality upon delivery. What you don’t see in the gloriously lit photos is the true sense of a textile’s thickness, colour depth, texture or weave. You may find your merino pants are far heavier and darker than expected, or a high-thread count cotton shirt far thinner and brighter. So, if you’re particularly fussy about getting the perfect result (and why wouldn’t you be?) 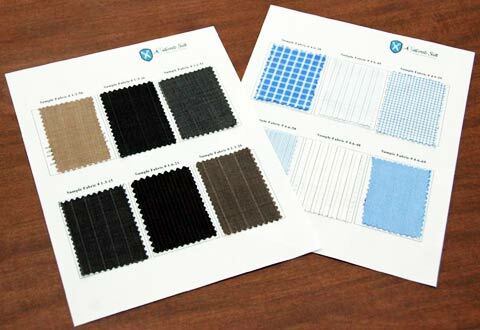 look for a merchant that offers fabric swatches or sample kits pre-purchase. These are often free, or very cheap; at worst, the cost of the sample will be deducted from future purchases – either way, you shouldn’t find yourself too out of pocket, and you’ll have a much better idea regarding the outcome of your garment in terms of look and feel. While most e-tailors’ websites insist you’ll be measured and ready to go in five minutes flat, you’ll more realistically need the better part of an hour to ensure you’re getting the perfect fit. During the ordering process you’ll be asked for a whole host of measurements. 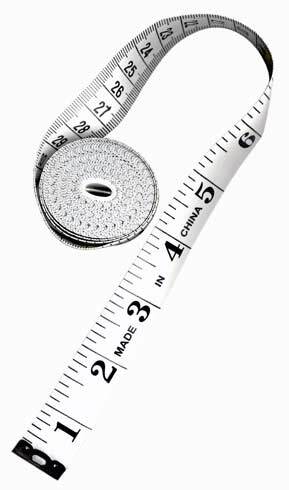 Therefore, you’ll categorically require a tailors’ tape measure and a trusted friend or relative to help you achieve total accuracy. Read all the instructions with extreme care and attention – some websites ask you to hold the tape measure tight, whilst others insist you include a little slack. Take collar measurements as a prime example; one store may ask for the tape to be wrapped firmly around the throat whilst another may insist you put two fingers between the tape and your skin for a little extra room! Never assume ‘one measurement rules them all’ and double-check your vital statistics for each order. When you finally receive your wares, you may discover there are a number of minor tweaks that need to be made. 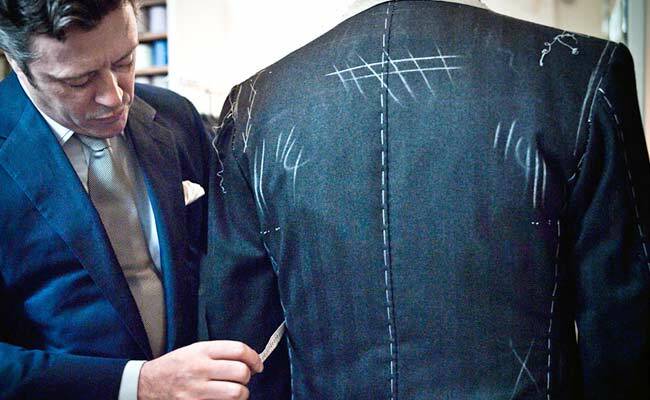 This is entirely normal; even the most experienced of tailors would require you make multiple visits during the production of a custom garment. Think of your delivery as the ‘mark one’ or ‘prototype’ version of your garment. Examine what’s not quite right; is it the length of the arms or shoulders? Perhaps the waist or torso is out by several inches. Make a note of all the issues and start tweaking your stats – this way your future orders will gradually become more accurate until the fit is millimetre perfect. In the meantime, take a look at the alterations policy from your e-tailor. Most reputable merchants will do whatever they can to ensure you’re happy, and provide you with free adjustments or, in rare instances where corrections simply won’t suffice, replacements. Remember to check the policy before you place your order to avoid any unexpected ‘zero returns’ situations. Given a huge selection of suits, shirts, trousers, waistcoats and other accoutrements, men commonly become overwhelmed. Either they dither about what to order and end up with something they’re never going to wear, or alternatively plunge head-first overboard and choose every single extra and gimmick going, creating an unwearable mess. Firstly, you can never have enough staples, so ordering a basic suit and/or neutral toned shirt is never going to be a bad idea. Secondly, you’ll feel less ‘put-out’ if your order isn’t perfect first time out: spending a small fortune on a pile of garments each with an unsatisfactory fit is not the best way to guarantee a positive outcome. Lastly, you’ll be less tempted to pile on those madcap extras like neon orange stitching, triple pleats and ‘glow-in-the-dark’ lining, saving yourself a small fortune in superfluous stitching in the process. Before you settle on one specific custom tailoring portal, it may be worthwhile checking up on everyone’s social networking feeds first; most offer spectacular one-off deals and money-off coupons knocking down the prices to rock-bottom levels. It’s not unheard of to find 15%, 20% or even 30% off the grand total if you hunt hard enough! Similarly, always be on the lookout for gift card competitions and prizes; for example, Tailor4Less are currently running a competition on their Facebook page posing the question, “Are Tweeds Casual or Formal?” with the top prize being a free suit. Finally, if you’re still undecided regarding your retailer of choice, check out the huge number of reviews scattered all over the Internet; you’ll very quickly pick up on whether a particular company has a systemic issue. Remember, however, older reviews may be outdated and problems regarding issues like cheap fabrics and delivery times may have been sorted since; the more up-to-date the review the better. I think you meant to type Savile Row. You’re absolutely right; darned autocorrect! I’ve duly updated the post. Thank you kentyman! Thanks for share all this!!! great article.